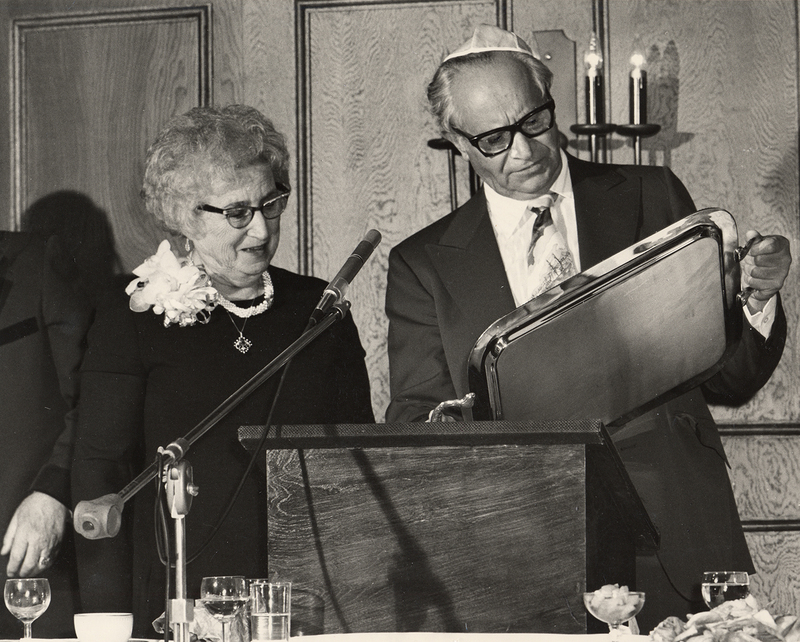 Photograph depicts (l-r) Mrs. Chava Wosk and Jack Diamond. Caption from March 17, 1977 JWB issue: Mrs. [Chava] Wosk about to receive a special silver tray, presented to her by dinner chairman Jack Diamond on behalf of Congregation Schara Tzedeck. Written on verso: March 17/77 issue.